Are you hyped for P!NK?? 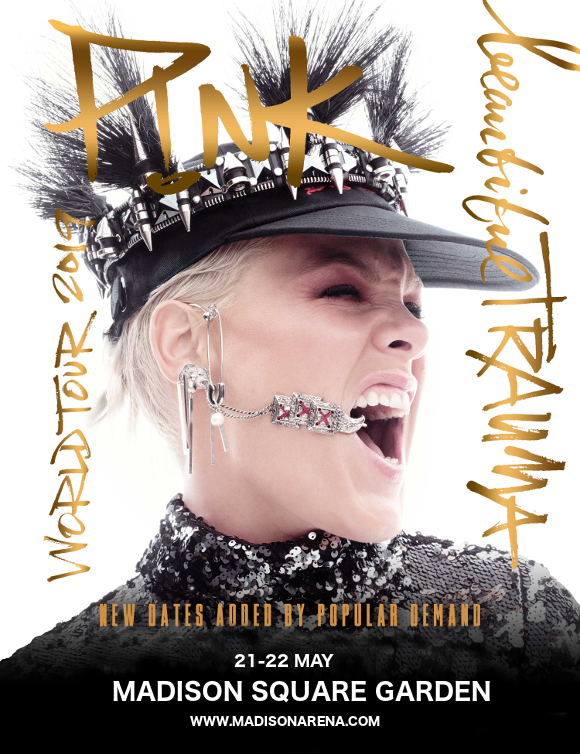 The sensational multi-platinum selling, Grammy-award winning punk-pop icon has, by popular demand, extended her huge Beautiful Trauma World Tour into 2019 – and she’s coming to the Madison Square Garden on Tuesday 21st May! Known for her impressive choreography and stunts – all while singing completely live! – a Pink concert is an experience that will stay with you for the rest of your life. Don’t miss out – get your tickets TODAY!! It’s a show no Pink fan can afford to miss – do NOT miss out on this incredible one-of-a-kind experience that only Pink can deliver!! Book your tickets to the Beautiful Trauma tour NOW while stocks last! !